"Yes, cancer is defeated! And most of this winning is due to the medical and pharmaceutical sciences. 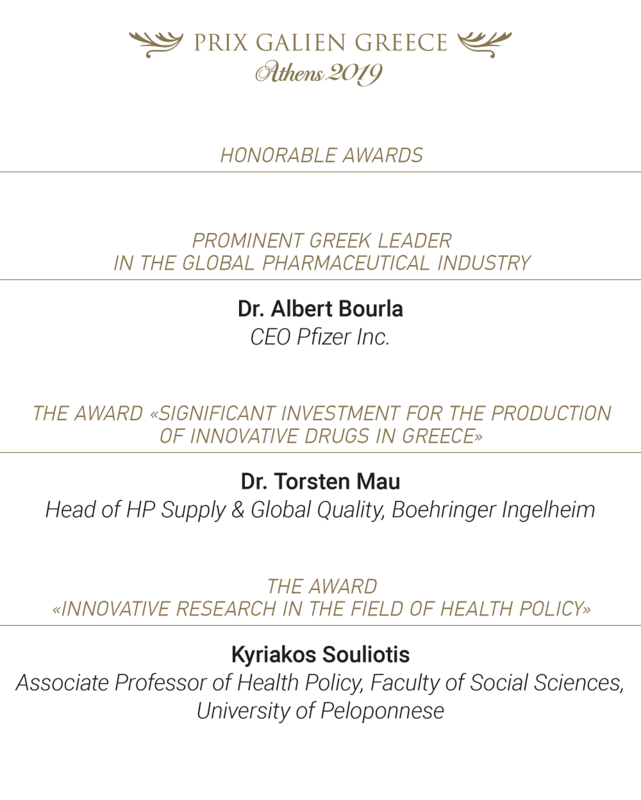 For this reason, I consider the Prix Galien institution very important as it rewards the greatest innovations of the pharmaceutical companies relating to the diseases of the modern world." Through such high-level events paths to innovation can be found and alternatives in science that may determine the future of Health, to provide a solution to impasses, to signal future progress in medicine and healing. " 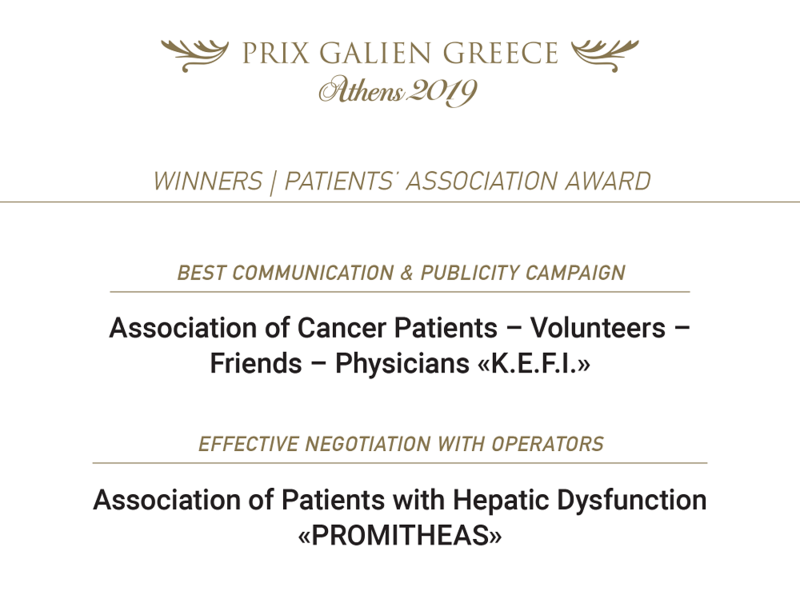 “The initiative of organizing Prix Galien Greece in Greece is a commendable initiative and a wonderful opportunity to honor people trying hard to make our lives better." We need to target all along to human and how we will be able to increase the quality of his life. Because drug is a good, and there must be equal access of every citizen in terms of life and death, and offered to him without any terms and conditions. " 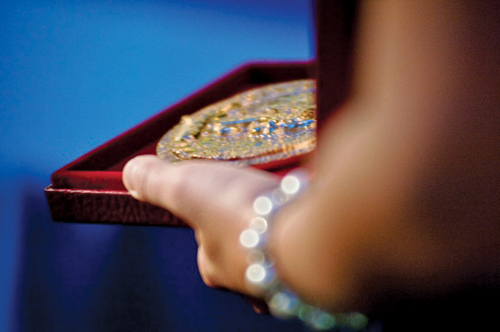 “The Prix Galien awards offer internationally the reward and recognition of research efforts and validate knowledge, boldness and vision that characterizes scientists and groups that open new chapters in science. " 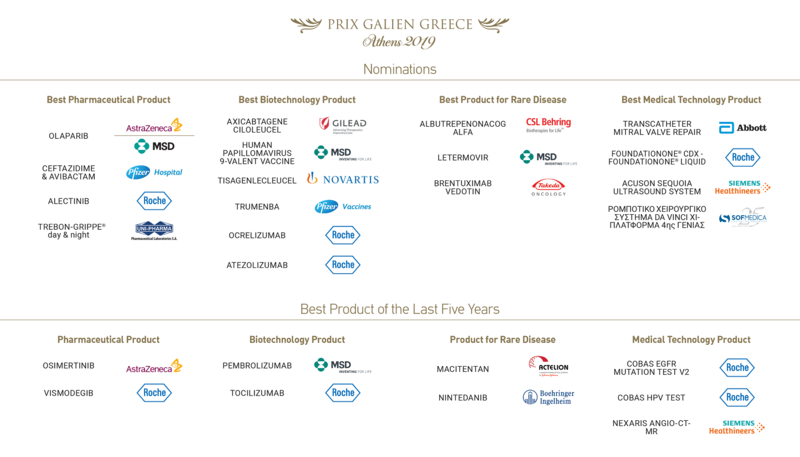 It is with our great pleasure and honor to welcome you to the official Greek site of the most important awarding institution for the global pharmaceutical industry, Prix Galien. In our country, the first awarding ceremony was held on February 2nd, 2013, at the Athens Concert Hall and was held under the auspices of the President of the Hellenic Republic Mr. Karolos Papoulias. 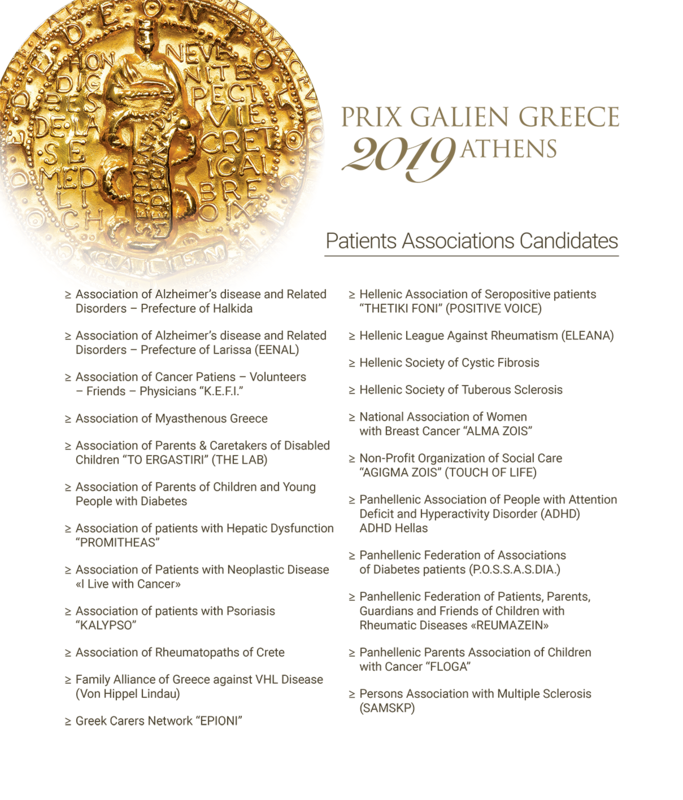 The Prix Galien recognize and reward excellence and novelty, and awards special honors to those who have served humanity at large by upgrading the quality of life or even by saving lives through the development of innovative drugs and diagnostic tools. 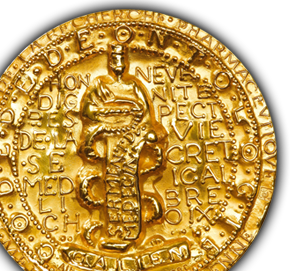 The Prix Galien is a collective effort of distinguished scientists worldwide to promote «the best of the best» innovative drugs and other treatments and for that reason, the Prix Galien is regarded as the equivalent of the Nobel Prize in biopharmaceutical research. From 1970 onwards, Prix Galien awards are conducted in 20 countries. Greece is the 16th country-member to launch the institution which takes place in our country every two years. We are working hard towards establishing this important institution so that to contribute in highlighting the great work of the pharmaceutical industry achieved in our country so that to continue the search for new treatments and technologies that is essential for a longer and better quality of living. The prix Galien was created in France in 1970 by a pharmacist named Roland Mehl. Its aim was to promote significant advances in pharmaceutical research. Until the creation of the Prix Galien, this field of research had remained largely unrecognized. A prominent jury was brought together, including clinicians, toxicologists, pharmacologists and pharmacists. 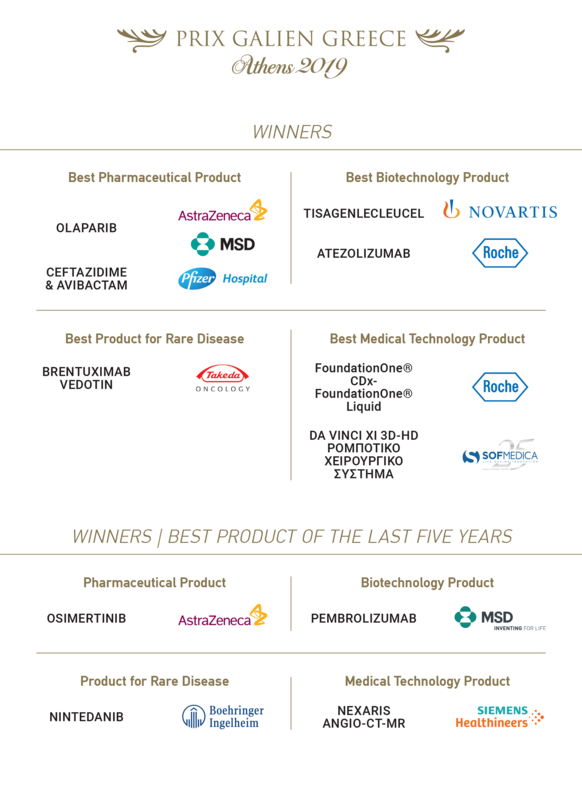 Each year, the award has been an opportunity to give credit to the most important drugs introduced into the public market as well as to the achievements of the best research team in the pharmaceutical field. Since its creation, the Galien award has grown into a major event. It is seen as an influential event by all those interested in pharmaceutical research, including public authorities, scientists, pharmaceutical companies and medical press groups. For this reason, it is also considered as the industry’s equivalent of the Nobel prize and the highest accolade for pharmaceutical research and development. The importance of the Prix Galien in France has led to similar initiatives in several other countries. The first countries other then France to create their own Galien award were Belgium and Luxemburg in 1982, followed in 1984 by Germany, and in 1985 by the Netherlands. In 1988 the United Kingdom created a Galien award, followed in 1989 by Italy, in 1990 by Spain, in 1992 by Portugal, in 1993 by Canada, in 2001 by Switzerland and in 2007 by the United States. 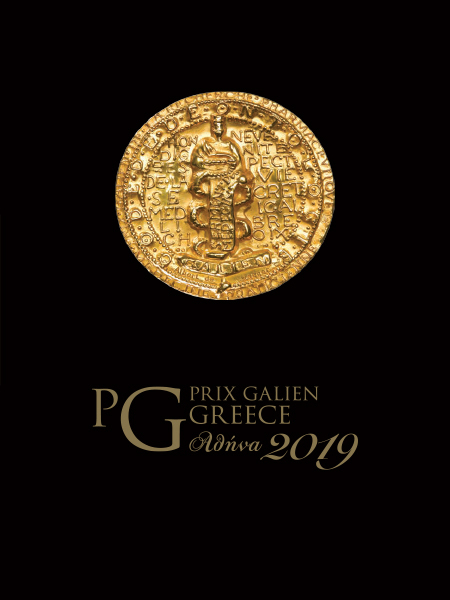 In 2012 the Prix Galien awards were introduced in Poland, Turkey, Israel and South Africa, and in 2013 Greece, Russia and Morocco joined the institution. In 2015 the Prix Galien will be held for the first time in Brazil and China is expected soon to join the list of hosting countries. In addition, a European Galien award was created in 1990 in Paris to reward one of the winners of the national Galien awards of the two previous years. This prize was also awarded in Brussels in 1992 and in Berlin in 1994. After Canada introduced its own prize, the European Galien award was turned into an International Galien award in 1996, in London. The 30th ceremony of the French prix Galien and the 5th ceremony of the International Galien award took place at Unesco on 10 February 1999. On this occasion, a prominent honorary committee was invited, including Nobel laureates. Montreal organised the International Galien award in 2000, Madrid did so in 2002 and Lissabon in 2004, in Zurich in 2006. 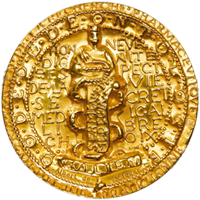 The 10th anniversary of the international prix Galien was awarded in Berlin in October 2008. New-York hosted the 2010 edition. Lyon, France organized the International Prix Galien Award in 2012. The winners of the Prix Galien Greece, for the first time participated in the International Prix Galien in December 2014 in Monaco. Anatomist, physiologist, clinician and researcher, Galien is the father of modern medicine and pharmacology, and his work has been considered as a reference for over two milleniums. Galien was born in AD 131 in Pergamos. He studied in Smyrna, Corinth and Alexandria, the three centres of medical excellence in the ancient world. According to a legend, Galien would have seen Aesclapius in a dream and this dream inspired and directed the rest of his life. When he turned 17, Galien worked as a physician at a gladiators’ training centre. Marcus Aurelius requested him to come to Rome when he was 37 and living in Aquila. In Rome, he grew in reputation and stature as a healer, teacher, researcher and writer. His ideas on the functioning of the human body were so well received that he became the personal doctor of young Commodus, the Emperor’s heir. Galien died in AD 201. 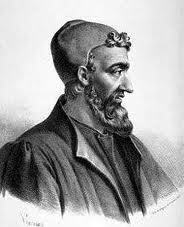 During his long and eminent life, Galen completed over five hundred pieces of work relating to anatomy, physiology, pathology, medical theory and practice and many forms of therapy. His work formed the basis of the school of thought known as ‘Galenism’ which dominated medical thinking until the Renaissance. He travelled for a period of time throughout the world, studying local plants and remedies. He described 473 original drugs and many substances from mineral and vegetal origin. He was the first scientist to codify the art to prepare active drugs with ingredients and vehicles. His faculties of observation, logic and deduction made him the true successor to Hippocrates and his view that the prime aim of medicine is patient care has formed the very cornerstone of modern pharmacy. He also created many outstanding monuments in France and throughout the world.